Near Bank Cottage is pet friendly. These are the reviews for Near Bank Cottage. There are 55 reviews. Lovely holiday cottage, very clean, nice secluded garden, parking space next to house. Only draw back is due to being on route to nature reserve some people drive too fast past the cottage and they're children playing on bikes etc. Lots of nice walks from the door, beach short drive away or coastal path walk from St Abbs to Coldingham. We have been using this cottage for four years now and it is always excellent. We will be back again next year. We have stayed here before and return because it is such a lovely, well appointed cottage. The location is great too, especially if you like walking, nature, culture and history. It's always a pleasure to return and see familiar faces at St Abbs. Very relaxing, pretty and homely cottage. Everything you could need was provided in the cottage right down to the prepared coal fire. Won't hesitant to come back. A lovely cottage, decorated and furnished with great care and taste. The surroundings are beautiful. We had nice walks along the coast, among the sheep. Visit this cottage every year, it's turning into a second home. Excellent stay and have booked again for next year already. The Cottage and location could not have been any better. One of the best Cottages we have ever stayed in. This was our second stay at this property. Once again lots of wildlife was seen without leaving the house and there were numerous varieties of birds in the back garden. There were excellent walks straight from the doorstep. Just a perfect place for a lazy break, with the opportunities to travel further if the mood takes you. An ideal location for visiting other Scottish Border attractions. Would highly recommend Near Bank Cottage. The location of Near Bank Cottage is superb; we hardly had to use the car. Whether walking on the Nature Reserve Cliffs, taking a bus into Eyemouth and walking back, or just strolling into St Abbs for a coffee, our stay is always relaxing and reviving. Fred keeps the house very clean and it was a real bonus when he texted us to say we could get in early. As the weather was great we made full use of the garden, which in the evening was the perfect place for post-walk relaxation. The cottage offers everything we need for a successful holiday and we hope that the owners will accept the suggestions below in the same spirit as they are given - to help make a fantastic holiday cottage even better! A lovely dog-friendly cottage, perfectly equipped and tastefully decorated. So nice to have a roaring coal fire on a chilly night. Cottage is surrounded by wild life and it was an ideal location for some serious chilling with cattle and sheep for neighbours. Just a step away from the coastal walk [which turned out to be a bit hard-core on a windy morning.] Lovely little village of St Abbs is a pretty spot with friendly locals. Next village of Coldingham has a couple of great pubs & is also dog friendly: especially the New Inn. One of the few cottages we would return to. Accessible cottage in a beautiful setting, perfectly decorated and dog friendly! This cottage is a hidden gem. My family and I wanted to get away from all the techno gadgets that kids have today and do a bit of family bonding and it was just perfect! We will definitely be back. Thank you! A home from home and a very relaxing break. Would come back next season. Cosy and comfortable cottage, in quiet location but with stunning scenery on the doorstep. Near Bank Cottage is in a very peaceful location with lots of wildlife and beautiful coastal scenery nearby. The cottage itself is very comfortable and cosy and we felt at home right away. The garden was a particular bonus as it was quiet (except for the chatter of the many birds that frequented it) and was a great place to sit and admire the countryside view or read a book. The local shop in Coldingham was well stocked and the beach was unspoiled by any man-made promenades, etc. This is the second time we have stayed at this Cottage, everyone had a great time. Remembered to take food for the bird table this time and saw everything from sparrows to woodpeckers. Will return again next year and for many more years to come. Peaceful and tranquil, St Abb's is simply beautiful and St Abb's Head walk was literally as you step out the door. We loved this cottage and its location.The cottage is deceptively roomy, has all you could need and is clean, pleasant and cosy. Every bit as good as it was last time we stayed there. The location is perfect. The situation is superb and the cottage had everything we needed. The books and jigsaw puzzles at hand helped make it such an enjoyable holiday. The cottage has a homely feeling whenever you enter the door. The information given was spot on; based in lovely surroundings, couldn't be better. Everything about this holiday was amazing! The area is utterly beautiful and the situation of the cottage made getting about so easy. The cottage itself was brilliantly equipped, comfortable and cosy. We loved every minute and will come back. The cottage was perfect, cosy warm and just the right size. 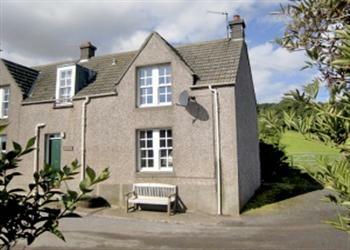 The cottage was in a wonderful situation, easy access for walks and village centre. We just loved it, and will be back! Very comfortable and cosy. Cleanliness of a high standard. Lovely walks from the front door. The coal fire was wonderful. 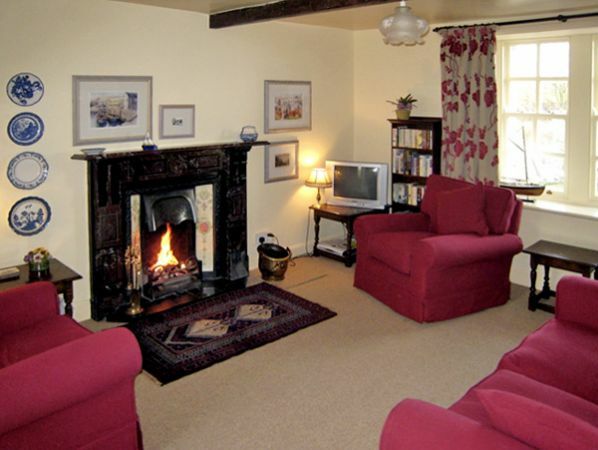 Very cosy comfortable cottage, very well equipped and the location was excellent. We have stayed in many cottages in Scotland, and this was one of the most comfortable and cosy. It is very well maintained, warm, peaceful and clean. We will go back in the future. We had a fantastic holiday. The cottage was well furnished and delightful. The scenery was beautiful, you couldn't have asked for anything more. Thank you! This was our 4th holiday at Near Bank Cottage and as always a pleasure to be able to stay at this wonderful cottage. It is well appointed, comfortable and in a superb location. It is probably the best cottage we have ever had! Was an excellent position for all amenities. Enjoyed the wildlife on the doorstep and the walks. Will return again next year, we have been coming to St Abbs for 11 years this was the best accommodating yet. A perfect cottage surrounded by an amazing coastline. We will return. The general comfort of the cottage made for a relaxing break. A very peaceful break with beautiful scenery. Location so close to National Trust St Abbs, with wonderful walks. clean, tidy, good facilities,lovely place to stay. Beautifully appointed property and a fabulous location. We absolutely loved it, especially the open fire. Once again we loved all our walks and the weather was superb. We had a brilliant Christmas. The cottage was warm and welcoming, lovely garden and an open fire - fuel was included in the price. A good base for walking, and visiting country houses etc. Nice unusual shops in North Berwick and you can walk down to Coldingham beach from the cottage. Near Bank Cottage was warm, cosy and in a great location. The location of the cottage with its access on to St Abbs Head and proximity to other attractions. It was easy to reach major road networks but the cottage was secluded and restful. We loved the cottage, stunning scenery and wildlife. It was a comfortable character cottage in a superb location with walks from the doorstep. It was delightful to sit out in the garden and enjoy the wonderful rural location. I liked the location. Walking from the door. Very cosy and comfortable. Everything was spot on and made for a very enjoyable holiday. This was the fifth time we have stayed at Near Bank Cottage. Each time the owners have upgraded something to make the stay even more pleasurable. This time it was the bathroom. The refit that has provided a shower was inspired! We love the position of the house, the garden, the quiet surroundings - I could go on. This is the ideal place to chill. And if you love wildlife, well... I'd like to specially mention the housekeeper. My wife left some jewellery at the house. As soon as she heard about this, she went back to the house to confirm it was there, and posted the items to us at the first available opportunity. Not only that, but they had been packed with the utmost care and sent Special Delivery to arrive the next day. Great service! Quite simply a little bit of heaven on earth. We loved it so much, we came straight back and rebooked for later on in the year - What better recommendation is there? The whole experience was lovely. The cottage was spacious and spotlessly clean, and in a lovely position. We spent ages sitting out in the pretty rear garden, and we loved the cattle and sheep trotting past the front door in the mornings! This is a place to relax in, with wonderful countryside and everything you need really. I loved it. We had a wonderful week here. The garden is very private and catches the sun all afternoon. There are a number of walks directly from the door. We very much enjoyed our stay and the house was in very good condition and very cosy - it was the second stay there. I am surprised this survey has arrived after so long! An excellent location for walking and relaxing. The house was woderful. Lovely cottage, cosy, clean, and well equipped. Beautiful countryside around, excellent walks along the coastal path, pretty harbour. Worth visiting - Paxton House, Dirleton Castle, Cove, Berwick-upon-Tweed and Edinburgh (take the train from Dunbar). If you're looking for other cottages around Near Bank Cottage, we've got some cottages below which may take your liking. There are 22 cottages within 5 miles of Near Bank Cottage - and they have reviews too.